BOSTON, April 23, 2019 /HalcyonTV/ -- The brewers at Samuel Adams today announce the release of a new recipe for Summer Ale – the first recipe change in twenty-three years. The new Summer Ale has all the flavor drinkers know and love with a boosted citrus profile and scaled back earthy, spice note for a lighter and brighter taste. The Sam Adams brewers knew they were taking a risk experimenting with an iconic recipe that for two decades has become the classic summer seasonal brew. Inspired by the warmer months of the season, they set out to experiment and capture lighter and brighter flavors and aromas, and even more summer refreshment. The brewers added a handful of new citrus elements including orange, lime and lemon to enhance the citrus profile with the right balance of flavor and aromas. Amped up additions of pureed oranges, limes and lemons give more roundness to the profile of the new brew. The lemon puree pulls double duty by giving a taste like fresh lemon juice with an almost candied note that the brewers thought makes the beer even more drinkable. Fans of this American wheat ale brewed in the Hefeweizen tradition will still enjoy the balanced notes of citrusy Hallertau Mittelfrüh Noble hops, hint of peppery spice from the Grains of Paradise and a crisp mouthfeel. "When we introduced Summer Ale 23 years ago it was inspired by the weather and ingredients of the season and had a dynamic flavor profile. As we started experimenting with the Summer Ale recipe, we decided to only update the classic recipe if we were blown away by the flavor and drinkability. With this new recipe, we found a way to give drinkers even more of what they know and love about Summer Ale." Summer Ale will be available beginning in April 1, 2019. The beer will be available in six-pack and twelve-pack bottles, twelve-pack cans,16 oz. cans, draft and Summer Variety Packs. Prices vary by market. To find where Summer Ale is available near you, visit Samueladams.com/find-a-sam. This isn't the only change rolling out this Summer. Summer Ale and Boston Lager are the first Sam Adams styles on US shelves that feature new, redesigned packaging. Twelve- and six-packs will feature the iconic Samuel Adams blue. Other new details include images of the Sam Pint showcasing the color and corresponding haze of each beer, a youthful illustration of Samuel Adams the rebel rouser himself, and scripted text drawn in his original handwriting. ST. LOUIS, April 15, 2019 /HalcyonTV/ -- Breakfast is the most important meal of the day; yet mornings can be hectic, and the quickest option isn't always the best quality option. To usher in a new era of breakfast on the go, Panera is refreshing its offerings, focusing on new menu items and an elevated coffee platform to meet the untapped consumer demand for a convenient, yet high-quality, delicious breakfast. Many of today's fast breakfast options include frozen, microwaved food items that lack flavor or nutritional value; and made-to-order foods can often come with a wait time that impacts the morning commute. Panera's 100% clean breakfast options—including three new breakfast wraps—are seamlessly integrated with Panera's digital ordering platforms and Rapid Pick-Up® and Delivery services, providing both well-crafted, craveable breakfast foods and unparalleled convenience for the morning commute. "Our focus on breakfast isn't just about a single item or category—it's about looking at the market and bridging a gap for guests. People are compromising between convenience and quality in the morning, and we know that's a problem Panera can help solve," said Blaine Hurst, Panera CEO. "Craveable, clean, high-quality menu options made easily accessible by digital and channel access is what has propelled our lunch business forward. Now we are taking that powerful combination to breakfast, giving our guest even more of what they want, when and where they want it." Panera has launched three new breakfast wraps, representing an entirely new category for Panera, designed to provide consumers with wholesome options ideal for on-the-go occasions. Packed with beloved breakfast flavors in a whole grain lavash wrap, the new breakfast category includes classic Maple Glazed Bacon with Scrambled Egg & Gouda Cheese; Chipotle Chicken with Scrambled Egg, Avocado and Peppadew peppers; and the vegetarian Mediterranean with Scrambled Egg White, roasted tomatoes, spinach and Feta cheese. All breakfast food and new coffee offerings are 100% clean, with no artificial preservatives, sweeteners, flavors, or colors from artificial sources as defined by our No No List. Panera has also made a significant investment to upgrade its coffee – revamping and expanding its coffee offerings to meet the quality of its food and introducing new standards for brewing. With summer approaching, Panera has just introduced Cold Brew, a smoother, sweeter and bolder alternative to traditional iced coffee. While it can easily be consumed black, two new flavored options are made with vanilla sourced from Madagascar—the gold standard of vanillas: Madagascar Vanilla Cream Cold Brew and Madagascar Vanilla Almond Cold Brew, made with unsweetened almond milk. Panera has also begun rolling out a new line of hot coffee, introducing new Light Roast and Dark Roast. Light Roast is a blend of Central and South American beans with hints of citrus, roasted nuts and chocolate. Dark Roast is a blend of Costa Rican and Colombian coffee beans that give this slightly sweet coffee a rich, mellow finish. The two new coffee blends are freshly ground from whole beans on premise and will be available in Panera bakery-cafes nationwide by late summer in a completely revamped coffee station, accompanied by the current Hazelnut and Decaf offerings. For those who prefer sweet over savory for breakfast, Panera has also revamped its bakery line, offering 10 new bakery items, including Cheese and Cherry Brittanys, Almond and Chocolate Croissants, Cinnamon Crunch, Blueberry and Orange Scones, a Cocoa & Creme cookie, Brownie and a Vanilla Cinnamon Roll. "We've long set the standard for an elevated morning experience from bagels to brioche breakfast sandwiches and craft bakery. But we recognize our guest is looking for new breakfast offerings for their busy lives," said Sara Burnett, Panera Vice President of Wellness and Food Policy. "By offering handcrafted breakfast options made with our real, fresh pantry ingredients and pairing them with coffee that matches the quality of the food in our cafes, our customers can get all their breakfast needs under one roof at their own pace." Already an industry-leading e-tailer, Panera continues to focus on technology to add speed and convenience critical to the breakfast timeframe. Its end-to-end digital pathways like Rapid Pick-Up and Catering make it easy to get breakfast on the go, and it is one of the few companies offering breakfast delivery via its own drivers. Now, the company offers a new Reorder function on the Panera app – allowing guests to select their daily breakfast in just a few clicks and have it waiting for them at the bakery-cafe via Rapid Pick-Up, or meet them at the office via delivery in participating bakery-cafes. This May, Panera is conducting a market test on a new "Panera Tap" technology for hot coffee, where guests can skip the register or kiosk altogether. Guests in the Raleigh-Durham, NC market will only need to open the Panera app and tap an NFC smart poster to purchase a grab-and-go coffee via mobile payment. To learn more, or to order Panera for breakfast, visit www.PaneraBread.com. 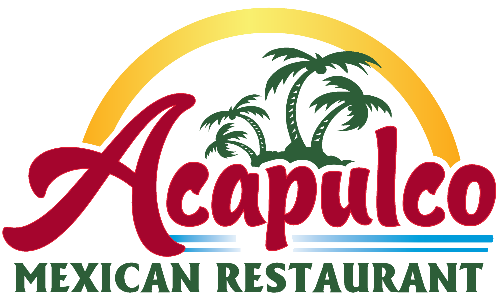 CYPRESS, Calif., April 9, 2019 /HalcyonTV/ -- XPERIENCE Restaurant Group XRG, the largest operator of full-service Mexican restaurants in the nation, is today announcing that one of its most popular restaurants, Acapulco, will offer a special Champagne Easter Brunch All-You-Can-Eat Brunch on Sunday, April 21, 2019, from 8am – 2pm. SAN FRANCISCO, March 28, 2019 /HalcyonTV-- Wine Institute has released its new book, WINE COUNTRY TABLE: WITH RECIPES THAT CELEBRATE CALIFORNIA'S SUSTAINABLE HARVEST, published by Rizzoli New York. The book offers compelling stories and 50 recipes that showcase the diversity of the California's wines and regions, its agricultural bounty and the seasonal spirit that continues to define the produce-driven and ethnically influenced essence of California wine country cooking. KAZAMA SUSHI is a Japanese restaurant located in the heart of Downtown Claremont. We make fresh & authentic sushi & offer high-quality food & service. We offer fresh, authentic, unique, and high quality Japanese cuisine including sushi(nigiri), sashimi and fresh and baked rolls. We also offer authentic Japanese appetizers and sides. Our lunch and dinner combos offer a wide variety of dishes. Our specialty dishes are live halibut, live red snapper, and blue crab hand roll. Our drink menu includes a wide variety of domestic and import beer, all kinds of sake and even wine. TORONTO, March 14, 2019 /PRNewswire/ HalcyonTV -- Long considered the highest honour for the world's very best chefs and restaurateurs, the prestigious Michelin Guides continue to map a sparkling path of outstanding dining experiences for travellers and gourmands. This year, Four Seasons Hotels and Resorts earned a record 25 Michelin stars at 17 celebrated restaurants worldwide providing a gateway to the Four Seasons experience. 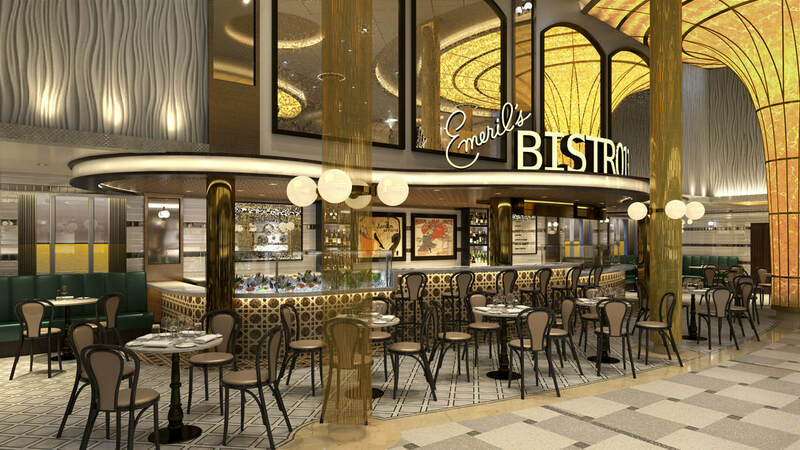 "Exceptional culinary experiences are the backdrop to some of life's best moments," says Christian Clerc, President, Worldwide Hotel Operations. "Whether an international traveller or local gourmand, our guests are increasingly looking for exciting and authentic restaurant experiences. We are incredibly proud of the many accolades received by our restaurants and of the talented craftspeople whose unparalleled innovation and creativity bring the Four Seasons experience to life." At Four Seasons Hotel George V, Paris, the team led by Executive Chef Christian Le Squer has retained its position as the only palace hotel to boast five stars across three restaurants arrayed around the Hotel's intimate courtyard, including Le Cinq***, Le George* helmed by Chef Simone Zanoni, and L'Orangerie*. On the French Riviera at Grand-Hôtel du Cap-Ferrat, A Four Seasons Hotel, Executive Chef Yoric Tièche and his team have once again earned a star for the legendary hotel's signature dining experience, Le Cap*. In Megève in the French Alps, Executive Chef Julien Gatillon and his team have retained their Michelin Guide rating with two stars for Le 1920** located inside Four Seasons Hotel Megève. At Les Chalets du Mont d'Arbois (reopening as a Four Seasons hotel later this year), Prima*, which is also overseen by Chef Gatillon, earned its first star in 2019. Elsewhere in China, Chinese Executive Chef Mai Zhi Xiong and the team at Yu Yue Heen* have helped put Four Seasons Hotel Guangzhou on the culinary map, while Chef Wayne Wang's Si Ji Xuan at Four Seasons Hotel Shanghai has once again earned a Michelin special recommendation. In London, French Chef Anne-Sophie Pic's first establishment outside France, La Dame de Pic London* at Four Seasons Hotel London at Ten Trinity Square, also retained its star in the most recent Michelin Guide. PITTSBURGH, March 12, 2019 /PRNewswire/HalcyonTV -- This is one for the beer fanatics and the foodies: an unlikely duo that will satisfy snack cravings and leave you thirsty for a cold one. 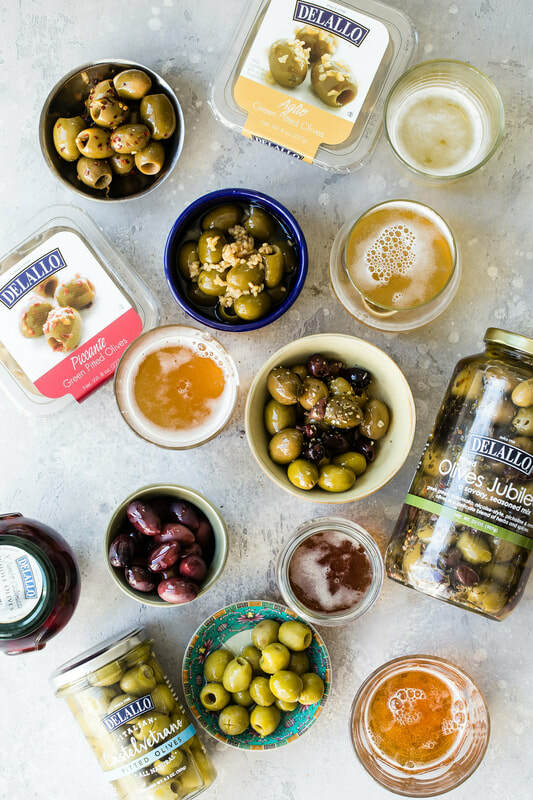 DeLallo's new guide on olives and beer gives you a game plan for your next entertaining occasion—from happy hour bites and movie night snacking to game day get-togethers and holiday parties. DeLallo’s new guide on olives and beer gives you a game plan for your next entertaining occasion—from happy hour bites and movie night snacking to springtime get-togethers and summer barbecues. Olives are a tasty alternative to the ordinary snacking carb, one that brings on the thirst with its salty, savory bliss. Explore more at http://bit.ly/2Tt03Jt"The popularity of microbrews and local hometown breweries are everywhere, and so customers have been looking for ways to snack and entertain with these favorite ales and IPAs," says Giuliana Pozzuto, Marketing Director for DeLallo. "Munching on olives with beer is nothing new, but we wanted to bring that partnership to the forefront and explore some of their best flavor combinations." If you're tired of the same old happy hour snacks—pretzels, chips and crackers—olives just may be the next best thing in your entertaining and snacking arsenal. Olives are a tasty alternative to the ordinary snacking carb, one that brings on the thirst with its salty, savory bliss. DeLallo is the country's expert in olives and antipasti and pros at entertaining. After much fun experimenting, we've come up with our official Olive + Beer Pairing Guide. Visit DeLallo.com and check out Olive + Beer Pairing Guide, plus more pairing and recipe inspiration. The George DeLallo Company is a family-owned and operated Italian foods manufacturer and distributor based just outside of Pittsburgh, in Jeannette, PA. Along with specialty Italian products that include pasta, pasta sauces, olive oils, vinegars, bruschettas and peppers, the company offers a full line of Olives & Antipasti sourced from all around the world. DeLallo believes that the best dishes are made with fresh, simple ingredients—the heart of Italy's celebrated cuisine. For over 60 years, DeLallo has made it easy to enjoy the best of the Mediterranean, founded on a passion for great food and generations of family tradition.